Free NATO for a limited time only! It's back! Find out how to claim your free NATO today. By popular demand we are pleased to bring this offer back again for a limited time only! 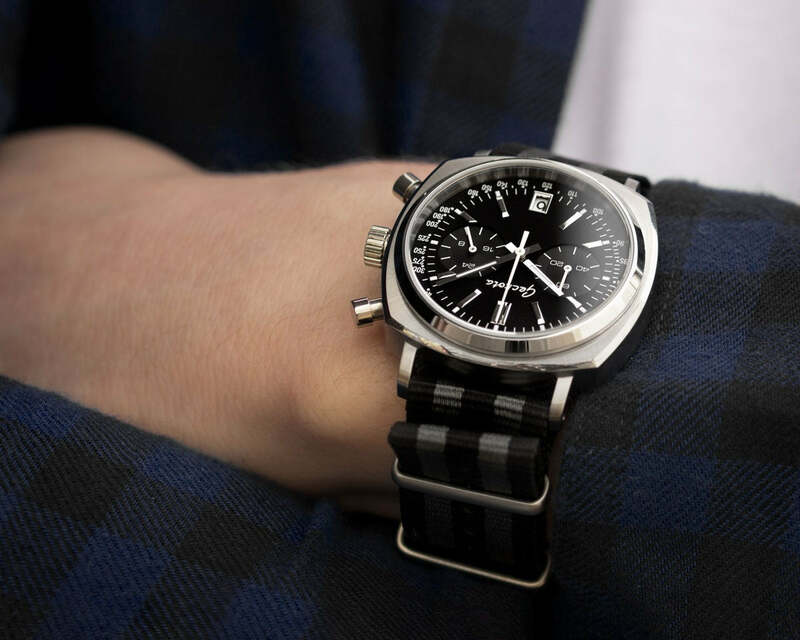 Our NATO straps are a great way for any watch fan to instantly add a bit of variety to their collection. By popular demand we are pleased to bring this offer back again for a limited time only! 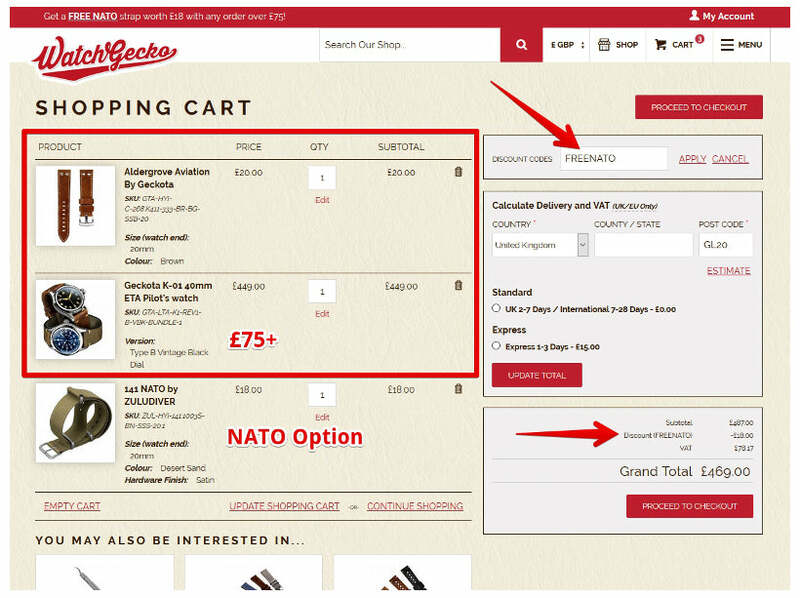 Add £75+ worth of products to your cart (please note this is the value before you add your NATO). Enter the code "FREENATO" at the checkout to receive your standard NATO of choice for free! Please note that £75 must be spent in one transaction. Discount codes are only valid at the time of ordering and can not be applied after you have made the purchase. This is one of our classic NATO watch straps, the strap is a lovely gunmetal grey which compliments any dial colour perfectly. 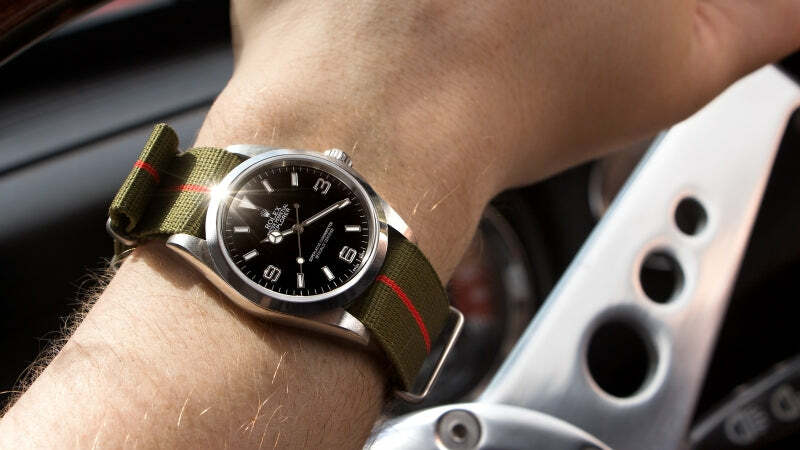 As with every ZULUDIVER product, it's a very well made strap with sturdy stitched hardware. This is a limited time offer. Minimum spend applies. Applying the discount code will reduce your basket total by £18. The discount will be applied as a percentage across all of the items in the order. If any of the items are returned to us the discounted price of the item (the price you paid) will be refunded. This offer cannot be applied in conjunction with any other offer/discount code. I want to change up the looks of some pieces that have gone stale to me. First of all the “Beads of Rice” you guys do looks beautiful. 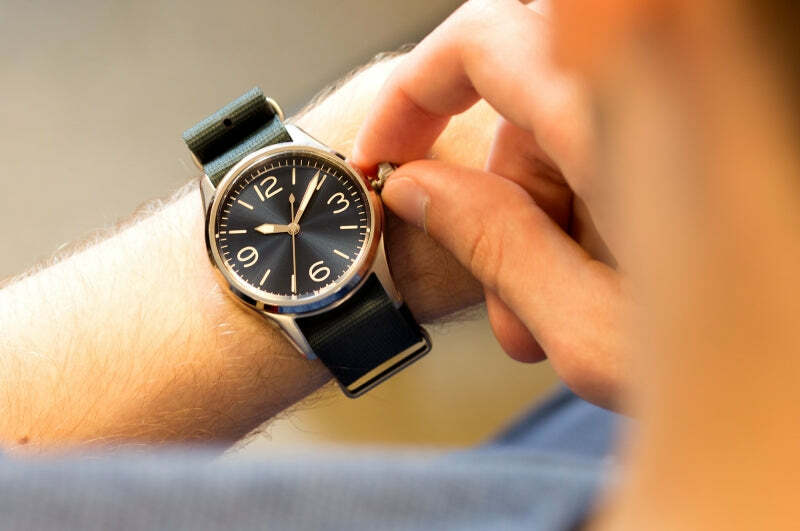 Need some advice on the fit and look of on a Hamilton Intra-Matic, Bulova Moon watch reissue, Shinola Runwell 47 mm.